Brussels' Cirque Royal reopens this Saturday after just over a year of renovation works, with a special open day giving visitors a chance to rediscover the venue. The concert hall was shut down last August for €3.6 million of fire safety renovations after an inspection revealed it was in a dangerous state. One of the project's architects, Déborah Van Der Linden, told RTBF: "We have replaced all the machinery in the boiler room, redone the entire electrical installation, the lifts and the security lighting." The Botanique not-for-profit assocation lost the concession to run the venue in June 2017. 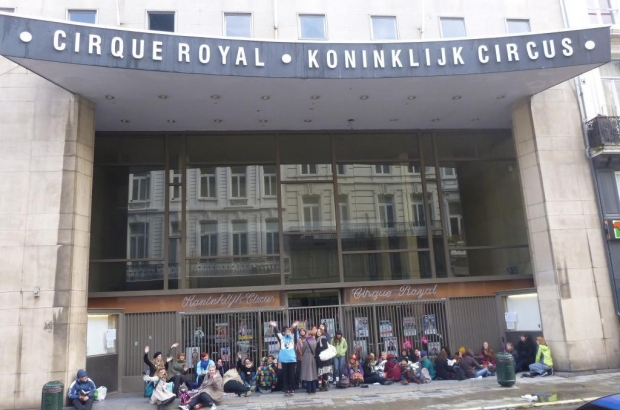 The reopened Cirque Royal is being managed by the City of Brussels property department. Cirque Royal director David Gerardy said 75 shows had already been scheduled at the venue between now and next June. They include Kylie Minogue (8 November), Slash (23 February), Rufus Wainwright (1 April) and Editors (6-7 December). Irish comedian Dara O'Briain is due to perform there on 23 May.